Natural sleep aid: through the presence of melatonin, a human sleep regulating hormone also found in certain plants. Natural immune system regulator: through the presence of vitamin C.
Royal Ridge Fruits is the largest West Coast producer of Montmorency tart cherries, through its farming settlement along Central Washington’s Columbia river basin – known for rich soils and a diverse climate. The product will be the first juice available among an extensive line of premium dried fruits, in whole, sliced and diced varieties. 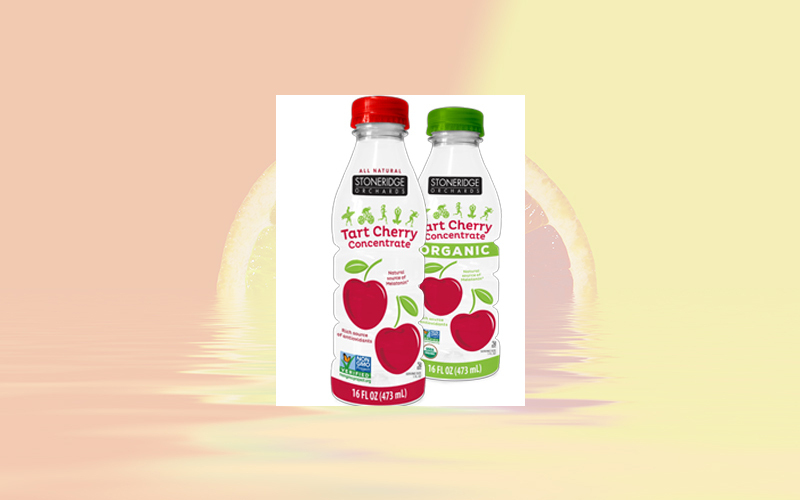 Each bottle of the Tart Cherry Juice Concentrate contains up to 1,000 individual cherries, providing a rich source of the fruit’s natural nutrients. All ingredients in the drink are natural, non-GMO and gluten-free. The Tart Cherry Juice Concentrate will be available to consumers in select US markets through the company’s retailer network. For the initial launch, Stoneridge Orchards will offer the product for $2.00 off.